We are looking for someone who would like to be a model for training staff on permanent hair straightening. If you would like to have this treatment free of charge please telephone Nick on Tel: 01912619651. 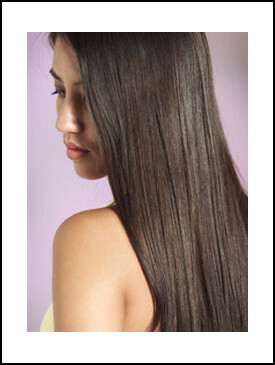 This is by far the most latest and advanced approach of permanent hair straightening. The Permanent Hair Straightening treatment will leave your hair looking as if it has just been freshly blow-dried and ironed straight. You will no longer need to spend the mornings fighting your curls and kinks. For most people, achieving a sleek, straight look takes a lot of styling every morning, which means a lot of product and heat. The results might seem good but putting your hair through this on a daily basis causes damage and does not give the hair time to recover. As well as the damage weâ€™re doing, itâ€™s also a very impractical and time consuming way of getting the look we want. Straightening properly takes at least half an hour. Perhaps the main frustration with trying to tame your hair though, is when you get the results you want but then have all your hard work undone by bad weather or high humidity. Itâ€™s irritating, and impossible to control without carrying the straighteners around all day long! If you're looking for a way to achieve silky soft, straight hair, without the daily struggle of hair straighteners then book an appointment for a permanent hair straightening treatment. Results really do last. Please note: This treatment cannot be done on hair that has been bleached, has high lift tint, bleach highlights, relaxed, permed, damage, is Afro-Caribbean or if you've had an allergic reaction to a perm lotion. If you have had a Brazilian Blow-dry, wait 4 months until the coating is completely out of the hair. Have you ever dreamed of fabulous straight shiny hair? Thankfully there is a way to control curls and frizz permanently with this Straightening treatment. The cost for this Hair Straightening treatment is: Â£220. 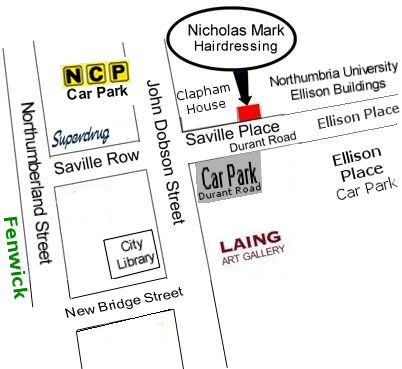 For an appointment please telephone: 01912619651. A Â£50 deposit is required. The deposit will be refunded in full if you contact us to cancel at least 48 hours before your appointment. Please note that if you have not had Permanent Straightening at our salon before, then we will need you to come in for a free consultation with the stylist who will be doing your hair, so they can assess the condition. How does the permanent hair straightening treatment work? With permanent straightening the hair is treated with a solution which softens the hair. The hair is then washed, and blow dried. Next, it will be flat-ironed in very small sections. The Permanent Straightening treatment first loosens the hair bonds and reshapes the hair bonds by using straighteners and a neutralizer which permanently straightens the hair. The procedure takes approximately 4.5 hours depending on the thickness, length, and the condition of the hair. The result is permanent on the hair that is straightened. Why should I have Permanent Hair Straightening? With this treatment you hair is not only straightened and frizz free, but, healthier, shinier and feels silky soft. Also permanent hair straightening will cut your drying time in half. Is coloured or highlighted hair suitable for Permanent Straightening? If the hair is going to be coloured, it should be done at least two weeks before or two weeks after the straightening treatment. Please note: This treatment cannot be used on hair that has been bleached, has high lift tint or bleach highlights, relaxed, permed or damage hair. Finally if you have coloured your hair, this treatment can make the colour fade. What types of hair can be straightened using Permanent Hair Straightening? All Hair types except true Afro hair can be Straightened e.g. where the curl size is pencil size or smaller. Will the permanent hair straightening treatment damage my hair? Most straightening treatments use chemicals that can damage the hair, however the Yuko permanent hair straightening treatment actually improves the condition of the hair leaving it soft and more manageable than before. This is because it uses a keratin-rich solution that restores nutrients to damaged areas of the hair and leaves it strong and healthy. How long does the Permanent hair straightening last? The hair that has been permanently straightened will remain straight permanently. However, newly grown hair will again be naturally curly. How often will I need to redo the Hair Straightening? You can come in to have it done again when your new growth is 10 cm long which is approximately after 6 months. Hair straightening will be done to the newly grown hair only. How long does Permanent hair straightening take? It usually takes approximately 4.5 hours. Will I still have frizz after Hair Straightening? No, because the hair will no longer bend outward. Instead all hairs will lay parallel to each other. Will I still have to blow-dry my hair? After the treatment you will be able to 'wash and go'. After a few months you may find it necessary to spend more time on the new growth. How long will it take me to style my Straightened Hair? Most people with curly hair spend around 30 min styling their hair. After the Hair Straightening Treatment most clients will need just 10 min or less. This time may increase slightly as your new Hair grows back, but should never take as long as it used to before your hair was straightened. Can I have my hair coloured after it's been permanently straightened? You must not colour your hair 14 days before or 14 days after Hair Straightening. Will I still need to use electric Hair Straighteners? Some people still like to use straighteners but normally you will no longer need straighteners to achieve the Straight Hair. Can I have my hair permanently straightened if I am pregnant? Yes, the treatment is completely safe to have during pregnancy in terms of chemicals. However please note that this is a long procedure which takes around 4.5 hours and some people may find the product's strong smell unpleasant. Is there anything I should not do with my hair after it's permanently straightened? For a full 48 hours after you've had your hair permanently straightened you must not put pressure on the hair e.g. by using elastic bands, clips, hats, tie your hair back, putting the hair behind your ears or wear a ponytail. You should not wash your hair for the first 48 hours after the straightening. You should not colour your hair for at least 14 days after having the straightening done. You are encouraged to smooth your Hair after sleeping as well. To avoid splashing the hairline with water, it's better to use face wipes instead of washing your face with water. You can also keep your hair dry by wrapping it in a towel when having a bath or shower. You must keep your hair as straight as possible for 1 week but after that, if you like you can still make you hair curly e.g. by using rollers or a curling iron but you must not perm the hair. Will my hair be flat after the Hair Straightening treatment? For the first few weeks, your newly Straightened Hair may be a little bit flat but just after a few weeks of new hair growth, you will enjoy some volume while maintaining smooth, sleek ends. How much does the Permanent Hair Straightening cost? The cost for the Hair Straightening treatment is: Â£220. Additional charges may apply for very long or thick hair. What else is Permanent Hair Straightening also knows as? Permanent Hair Straightening is also known as Yuko Straightening System, Yuko Hair Straightening, Yuko System, Japanese Straightening, Thermal Reconditioning, Chemical Straightening, Shiseido Crystallizing, Permanent Straightening, Ionic Straightening, Bio Ionic Hair Retexturising, Thermal Restructuring, Rebonding, Thermal Reconstruction, Liscio Permanent Hair Straightening, Liscio Hair Straightening, Permanent Straightening, CHI Straightening System, or Permanent Style Hair Straitening. How long should I wait before washing my hair after the treatment? Do not shampoo or get the hair wet for 48 hours. If the hair accidentally gets wet in that time blow-dry and flat-iron the wet hair immediately. Will I still be able to curl my hair after the treatment? Your newly Straightened Hair will still respond to the use of heat and tools such as curling irons and round brushes. Therefore, you may achieve a curly or wavy style on occasion if you would like to. However you must wait 1 week after you have the treatment before you can curl your hair. I have very curly hair but don't want to completely straighten my hair, can I just get rid of the freeze without totally losing my curls? Yes, if you do not want the hair to be completely straight, you can have a Brazilian Blowdry. The Brazilian Blowdry treatment will soften the curl and eliminate the frizz. I had an allergic reaction the last time I had a perm. Will it be safe to have the Permanent Hair Straightening treatment? Perm lotions and Permanent Hair Straightening treatments both contain very similar ingredients which means there would be a very high risk of you having another allergic reaction to this treatment and so we would not be able to do this service for you. What is the difference between Permanent Hair Straightening and the Brazilian treatment? The Permanent Straightening treatment also knows as Thermal Reconditioning, defrizzes and straightens the hair by changing the hairs structure and makes the change permanent. The Brazilian blowdry treatment instead is semi-permanent and will wash out of the hair with time. Which Permanent Hair Straightening treatment do you use? There are several Permanent Hair Straightening treatments e.g. Yuko, Matrix, CHI, Senscience, Curecell, Momoko and Shiseido. We have chosen to use Yuko because it achieves permanently straight hair every time.